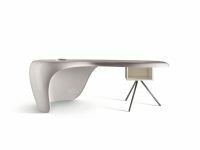 • The seat ismade of birch ply-wood while the back frame ismade in various sizes of steel tubular. • The padding is in self-extinguishing polyurethane, cold foamed. 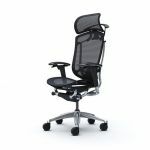 the backrest section, can have the arm-pad in natural varnished beech-wood or upholstered with the same fabric. • The synchromovement is obtained by using amultiblockmechanismwith several locking positions, fine tilting adjustment and anti-return safety system. 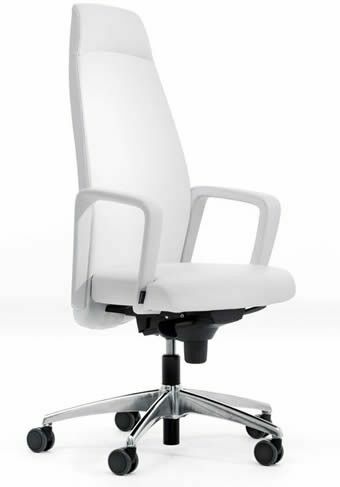 • The swivel seat height adjustment is obtained with a gas pump. • The fixed base on four legs is in tubular chrome-plated steel with adjustable feet. • The disc-base is in stainless steel with diameter 50 cm. 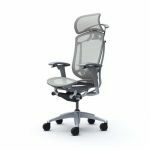 The height is fixed and it can be swivel or swivel withmemory return action. • The dual-wheel self braking castors are in reinforced nylon for soft floor or with polyurethane tread for hard floor. The fixed glides are in reinforced nylon.